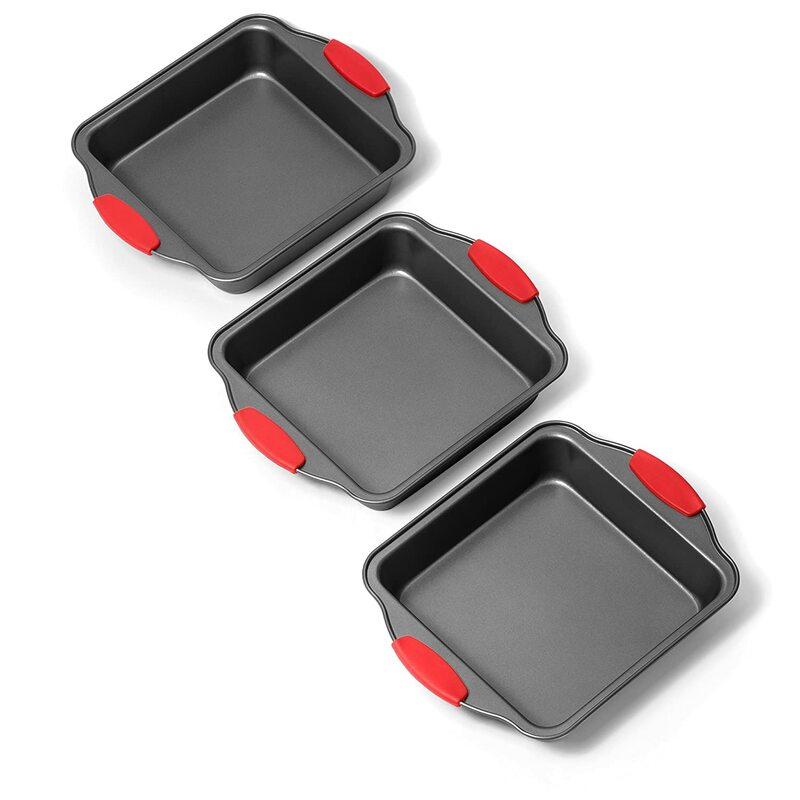 Premium 3 Piece Square Baking Pan set with ultra non-stick coating and innovative design. Baked goods effortlessly slide off these baking pans. 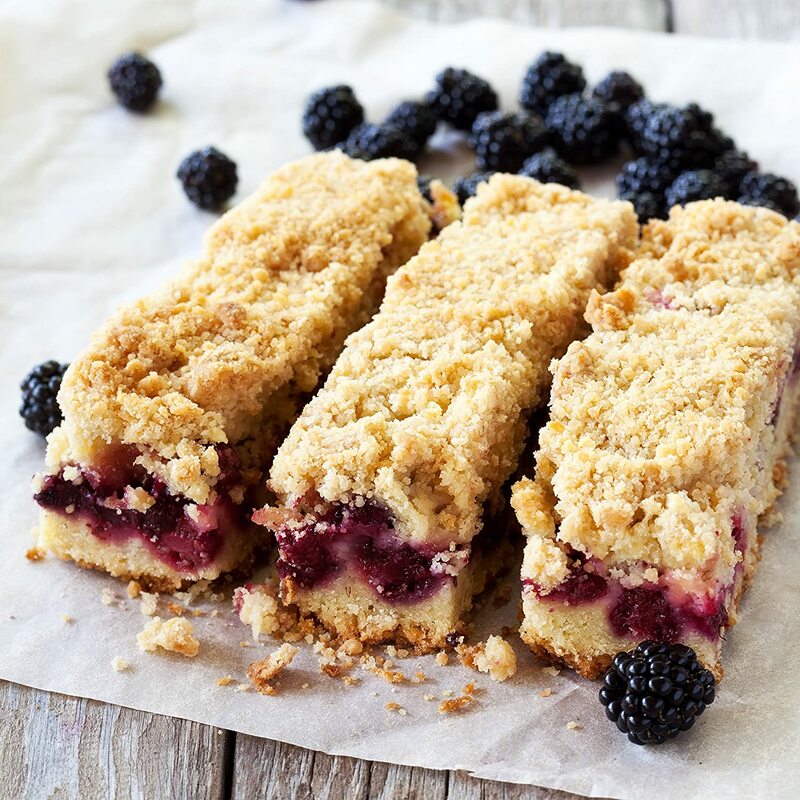 Cleaning is quick and easy even with sticky baked goods. Dishwasher safe. Built to last a lifetime. 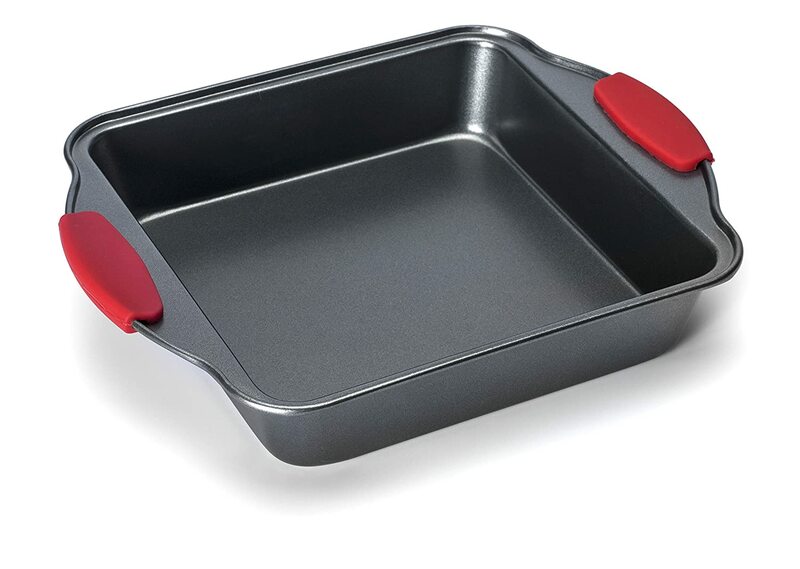 Heavy-duty and commercial grade square baking pans that heat evenly with no hot spots and no warping for perfectly even baking. Finally a nonstick bakeware set that will not rust or warp. Beautiful finish with wide round ends and silicone grips for easy handling. 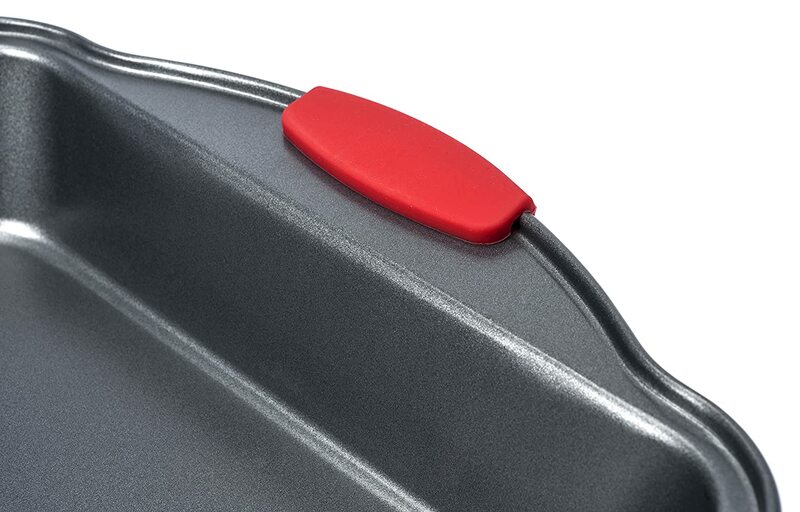 Smart design makes it much easier to handle and grab than other bake pans and cookware. Oven safe up to 500 degrees Fahrenheit. 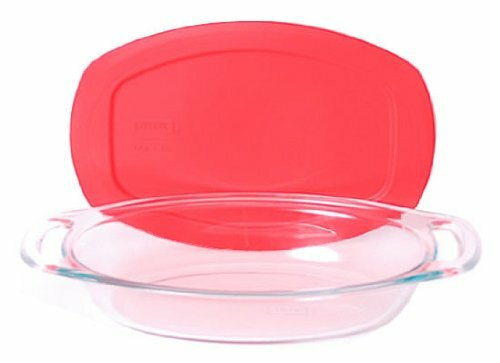 Perfect bakeware set for all oven baking needs – Brownies, Cakes, Bread, , Lasagna, Meatloaf, Meatballs, Pazookie, Tiramisu, Cookie, Square Cake , Carrot Cake , Quiche, Chicken Pot Pie, Bruschetta, Enchiladas, Bandejas Para Hornear, Bandejas De Reposteria, Biscotti, Cornbread, , Banana Bread, Baklava, Potato, Pot Roast, Turkey Roasting and Much More. 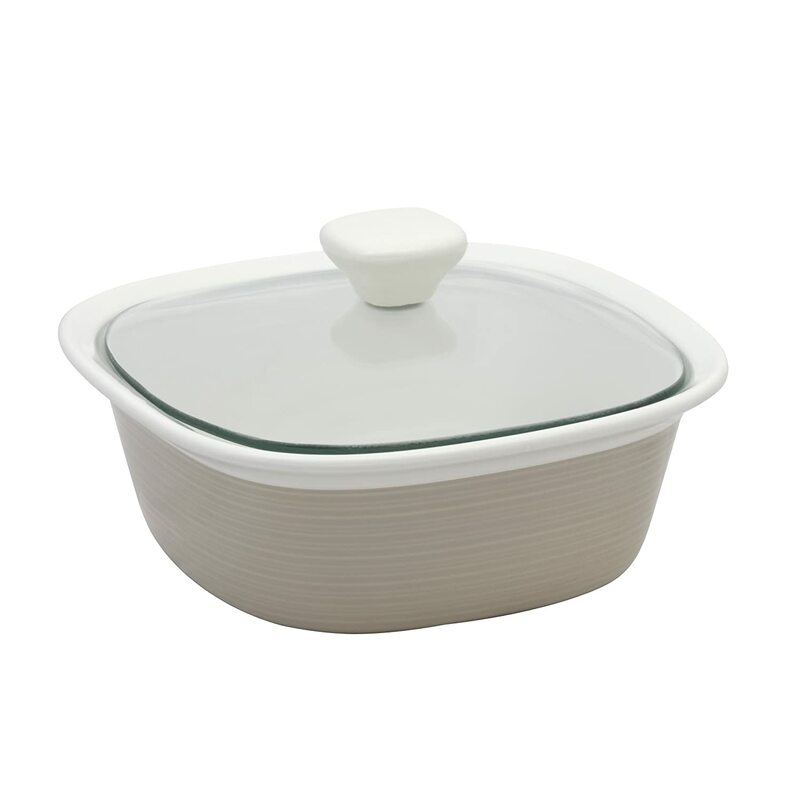 All bakeware, baking supplies and cake pans come with a 100% no-hassle money back guarantee. 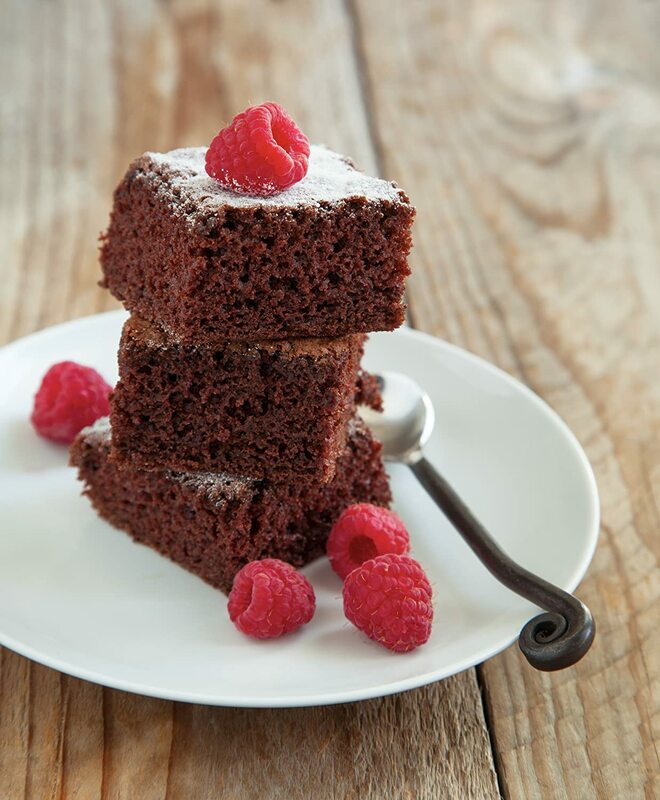 The secret to perfect baking is right here! 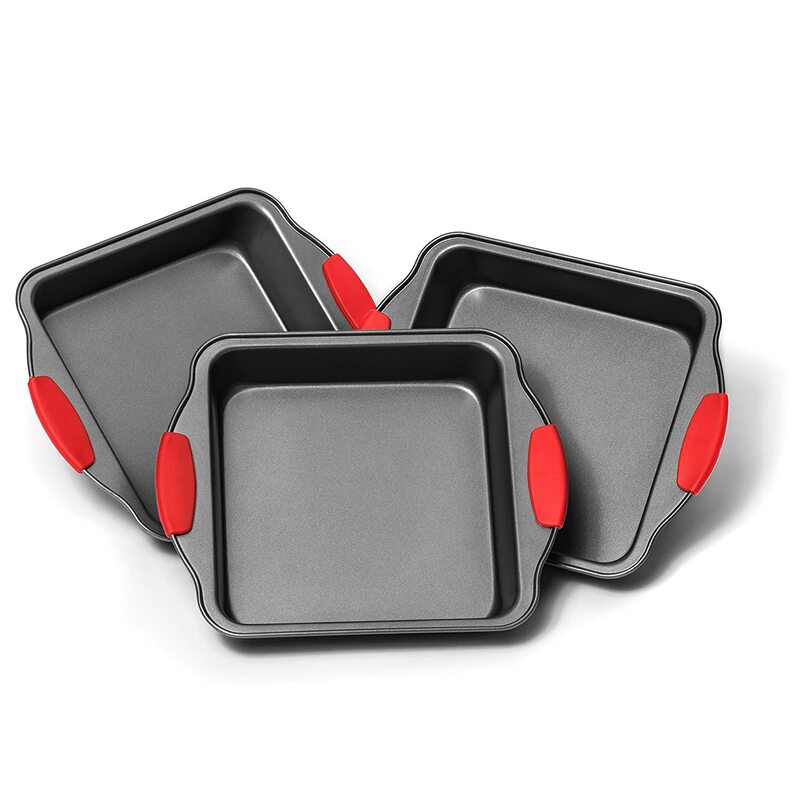 -Baking Pans Set comes with three square shaped 8" by 8" baking pans. Each pan is 2" deep. My heart sank when I first saw these. I thought they were larger and couldn't imagine being able to use them much. Was I wrong! 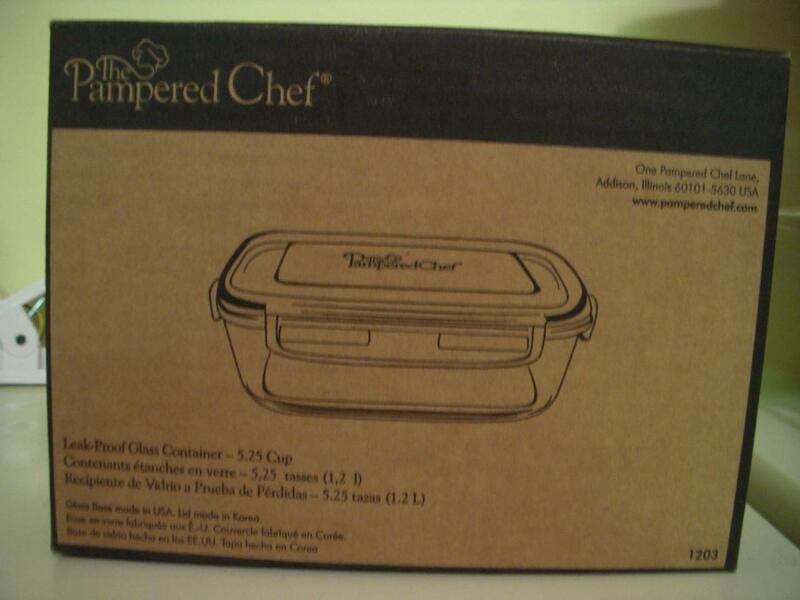 They are the perfect size for heating so many different things, especially if you are cooking for one or two. Who would have thought? I'm so happy I didn't return them which was my first reaction. The nonstick feature rocks! I've had burnt chicken and stuffing, burnt pan pizza and other burnt things (I'm not a great cook) and they have cleaned up very easily. I love them! I love baking even more now with these incredible baking pans! I love how easy they are to use with their stick free surface you don't have to worry about spraying cooking spray on them. They are also really easy to clean because nothing sticks to them anyways! these are great pans and the price is right. i am not a good cook. 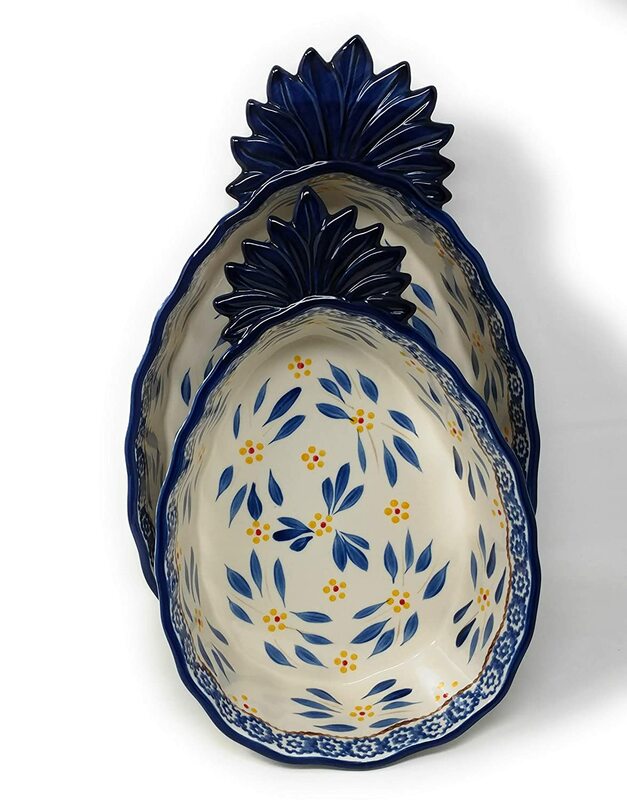 these pans are perfect for a myriad of occasions. clean up really well. highly recommend. I really like and use this baking pan. In fact, I gave 2 of them as gifts to family member and a friend. They are easy to handle and easy to clean. So disappointed! Pans were perfect until the coating started chipping off within 6 months and had to throw them out. So far these have worked well. Got rid of the ones I had because I'm sure I was eating some of the coating on the inside every time I used them. Nice to have some new ones. Bought to replace similar rusted pans that had lost their teflon. Ick. Worked great. Not a perfect match but that didn't matter. These were better.